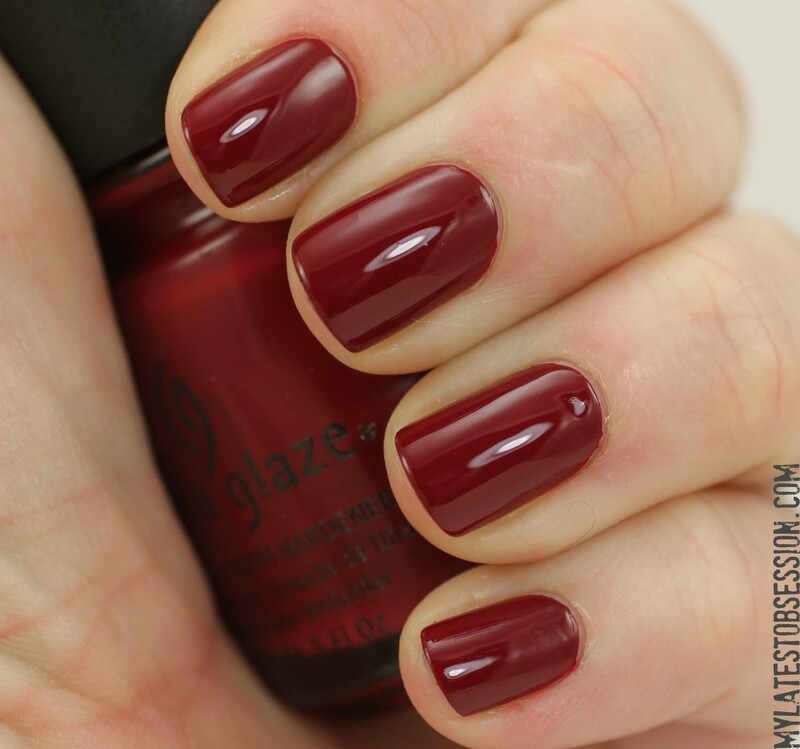 This was one of the reds from the 2012 Christmas collection. Applied very smoothly, as you can see, but the color is unimaginative. Pretty opaque, though – this is 2 coats. Please keep your comments open a little longer if you can. I don’t get caught up that fast always. I went to comment on a few recently and found the comments closed. Hopefully you have some control over that. Like to be able to keep up better. Thanks so much. This is my now go to vampy red as I like more color to my vampy reds right now vs. that older deep dark (almost blackened) red that was so popular for many years.